This week, we discuss juggling projects, then Alan chats with author Chuck Wendig. Alan goes on to talk about the second draft of his current novel-in-progres. We go on to talk a bit about our collaborative horror/dark thriller novella. 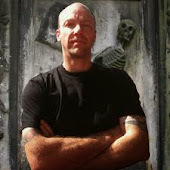 Dave talks about his other new collaboration with Ryan Span, a new David Debord fantasy novella. This leads Dave to talk about the problems of having too many ideas boiling away and too many projects on the go. How do we choose what to work on? This leads us to discuss how much we need to commit to series over standalone projects and what we owe readers for the investment of their time. Dave talks about the contrast in his current reading between the Wheel Of Time series and Jack Reacher books. This leads to a discussion about the style variations in the writing of those books. Alan can’t help mentioning how much he dislikes the Wheel Of Time series. And we can’t help ranting about Tom Cruise as Reacher again. Then we cut to Alan flying solo in an interview with incorrigible penmonkey, Chuck Wendig. We start off with Chuck talking about his early career and how he started out as a writer. We chat about Chuck’s prodigious blog output and how he manages to fit it all in. We talk about why Chuck chose the number 25 for his famous Lists and about how writers enjoy sitting alone in a cave. Chuck talks about how he broke out as a novel writer and the potency of social media. Alan asks Chuck to define what it means to be a New Pulp writer, which leads us to talk about writing what we want to write without trying to fit any particular genre. Chuck talks about the inspiration for the character of Miriam, and this leads us to talk about the nature of gender in fiction. Where do writers fit in the gender debate, what are the obligations for men writing female characters and so on? Chuck talks about future Miriam books, the next being Cormorant in late 2013, and a new book called The Blue Blazes coming out soon. We get a bit of a sneak preview about both. We go on to talk about the nature of the hybrid author, and Chuck discusses his reasons for self-publishing some works while seeking traditional deals for others. Chuck offers some great advice on when people should or shouldn’t self-publish. Chuck talks about what he’s working on now and how he manages his time and deadlines. We finish with Chuck offering his single most important seed of advice for writers.